Download full-size JPEG (508K) or GIF (122K) image. 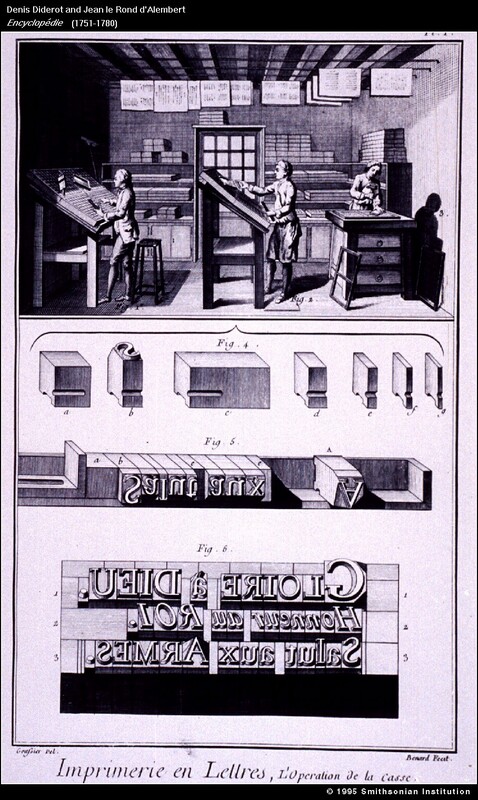 This illustration from Diderot's Encyclopédie shows a compositor setting type in a printing shop, with diagrams of the tools used. The encyclopedia has ancient roots as a comprehensive way to organize knowledge. The 18th-century Enlightenment was the golden age of the encyclopedia, because of the efforts of Diderot and others to write articles on all significant political, social, cultural and scientific topics. Download full-size JPEG (266K) or GIF (179K) image. 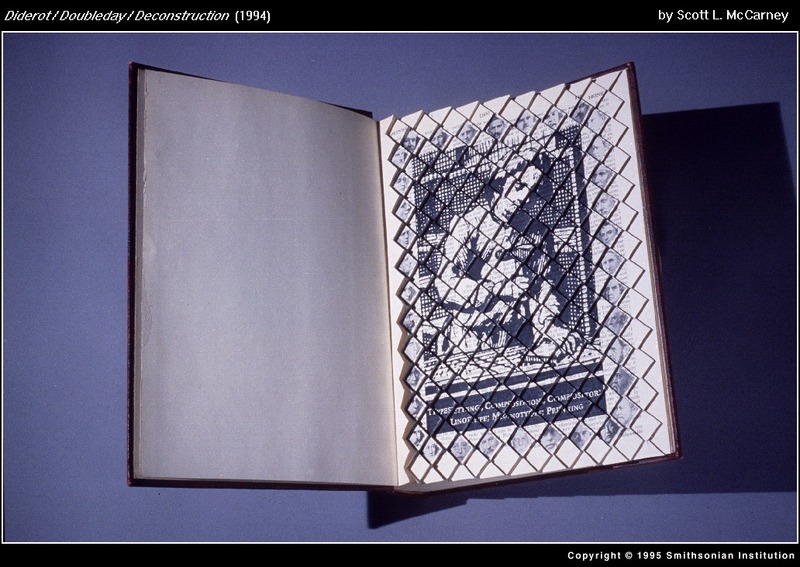 Scott L. McCarney crafts a book sculpture by carving into the pages of a discarded 20th-century encyclopedia volume. He copies the image of his 18th-century counterpart, the compositor setting type, by using the updated technology of computer-scanning and laser-printing.